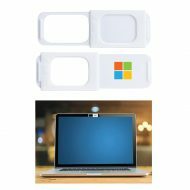 This Custom Imprinted Security WebCam Cover 1.0 provides high impressions for your brand while also providing privacy protection for its user. 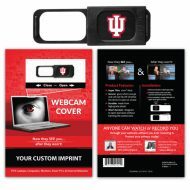 Webcam Cover 1.0 includes a full-color imprint of your logo or design on the front of the slider. 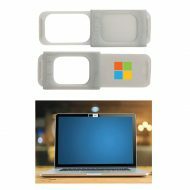 This customizable webcam cover fits computers, laptops, Smart TVs, monitors, and some external webcams. Order today! Includes Full-Color Imprint on Sliding Cover! Ready to Ship in 5-7 Business Days; Rush Production Available! This Custom Security WebCam Cover 1.0 provides high impressions for your brand while also providing privacy protection for its user. 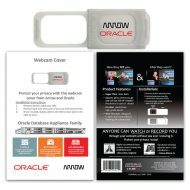 Webcam Cover 1.0 includes a full-color imprint of your logo or design, as well as, a custom full-color double-sided 4″ x 6″ packaging. 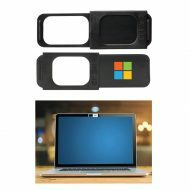 This customizable webcam cover fits computers, laptops, Smart TVs, monitors, and some external webcams. Order today! 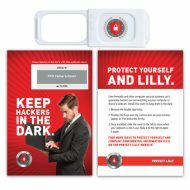 Includes Full-Color Imprint on Sliding Cover + Full-Color Custom Packaging! Direct Mailing Available – Please Inquire!